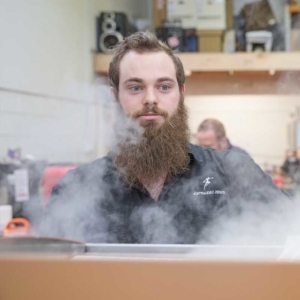 The Espresso Ninja team has a vast knowledge of espresso equipment through their many years of servicing, repairing, and rebuilding espresso machinery and grinders. We supply only quality espresso machines, grinders, accessories, water filtration, and cleaning equipment. WE ARE PASSIONATE ABOUT COFFEE MACHINERY. 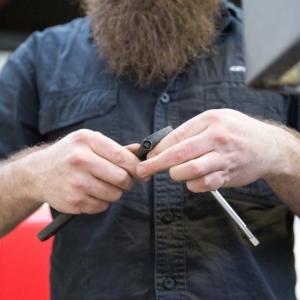 Espresso Ninja offers outstanding espresso equipment repairs, servicing and sales. We strive to maintain a high standard of work, create lasting relationships with our customers, and aim to exceed expectations. Whether it’s a busy café breakdown on a Saturday, or just regular maintenance, Espresso Ninja can help. With our special training and skills learnt from the Ninja Master, we can fix any issues that arise. We cover the Lower North Island and occasionally further afield by arrangement. 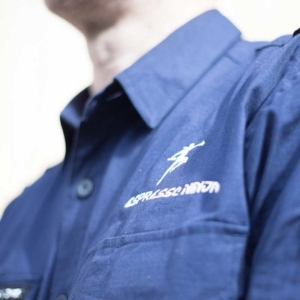 All Ninjas are trained in house and registered with the Electrical Workers Registration Board. “Many thank yous for coming over and installing my beautiful new Rocket Appartamento. I am most appreciative of your time and effort and I know I and my friends will have many a superb coffee experience. I shall pass on the word!!! VIEW OUR RANGE OF DOMESTIC ESPRESSO MACHINES, GRINDERS, AND ACCESSORIES. VIEW OUR RANGE OF COMMERCIAL ESPRESSO MACHINES, GRINDERS, AND ACCESSORIES. We are the experts in restoring, repairing, and servicing espresso machines. Book yours in here. We have over 30 years of combined experience and knowledge to help you out. Sometimes you can solve it yourself. Try these first.